The 2018 tax year will bring with it several changes to the tax code. With the alterations, it is important to plan ahead for your business filings and individual taxes. This way, you can prepare yourself for different filing dates while ensuring you have the necessary monetary amounts covered (if you need to pay in). As a business owner in Arizona, here are important tax dates for 2018 each of you need to know. Coming up quickly is your 2017 fourth quarter estimated tax payments. Whether you own a business or are self-employed, it is necessary to pay this quarterly amount. Make sure to have it postmarked no later than the 15th of January. Partnership and S Corp Business Tax Returns are due. You may file an extension which allows an additional 6 months to file. Individual Taxes Due. So for business owners who are filing personal tax returns, this is the day their return is do. All tax returns must be postmarked by midnight on April 18, unless an extension has been submitted. 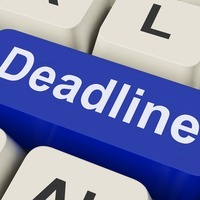 If you are applying for an extension for your individual return, it is also due on this day. Applying for an extension will extend the filing of your return until October 15 of 2018. However any taxes owed must be paid with the extensions. C Corporation Business tax returns and taxes are due. An extension may be submitted to extend the filing of your business return until October 15 of 2018. Additionally, your second quarter 2018 business estimates are due on this day. Your second quarter business estimates are due on June 15, so make sure you have your paperwork and payments postmarked by June 15. Your third quarter business estimates are due on September 17. Have everything postmarked by the end of the 17th. Your Partnership and S Corp Business tax returns are due. 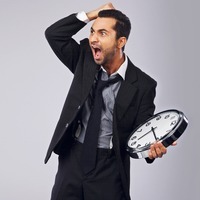 If you filed for an extension back in April for your personal tax returns, today is the day your extension is due. You need to make sure you have everything postmarked by the 15th. This is the day your final fourth quarter business estimate payments are due. Staying on top of your business tax returns is so important. As a business owner filing is a bit different, as you likely need to file quarterly. Plus, with the recent changes to the tax codes going into 2018, it is a good idea to give yourself a bit more time to file. This way, you can understand what is going on with your personal and business tax returns. Just make sure to stay on op on these dates as it will help you stay on top of both your IRS and your Arizona Department of Revenue tax returns. Just remember, if you need help with your tax returns, have questions or would like to know more about the changes in the tax code, feel free to contact our office to help you with your business taxes or individual taxes, or send us an email at your earliest convenience. If you filed for an extension for your corporate business tax return, the deadline of October 15th, 2017 is fast approaching. Typically, these returns and individual tax returns are due on the 15th of the fourth month following the tax year end, December 31st 2016 for individuals and most businesses. A six-month extension gave you until October 15th 2017. Schedule C sole proprietorships and single member LLC’s also have the luxury of waiting until October, with a six-month extension. Beginning with the 2016 tax year filing in 2017, Partnerships and S-Corps filed on a form 1065 and form 1120s respectively, are required to file returns by March 15th. This provides the necessary time to send Schedule K-1 to business owners for filing on their personal returns. If you were part of a partnership filing Form 1065, your deadline is September 15th if you filed an extension by March 15th. 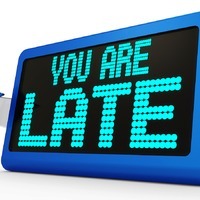 In case you missed this deadline, or if you have any questions about these or any other tax deadlines, contact Sean Core CPA PLLC, for tax and business services. We provide business tax services related to Individuals, S Corps, C Corps, LLCs and Partnerships, and filing of all required schedules including K1’s. Our small business focused accounting firm provides tax preparation services including payroll tax returns for federal and state withholding (940, 941, 943, and 944), all State Unemployment returns, sales tax, and property tax returns. Sean Core CPA provides personal attention to small business, with a wide range of business planning and financial services such as monthly bookkeeping with compilation of financial statements, and business tax services. Sean Core CPA has been assisting small business owners in and around Mesa, AZ including businesses in Chandler, Scottsdale, Tempe and Phoenix with accurate and timely tax and business services that you can trust. Never miss a tax deadline again! Contact Sean Core, CPA today to maximize your return regardless of your business structure. 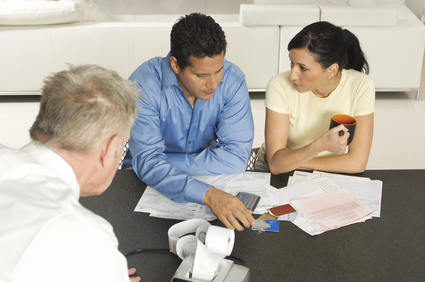 We have the knowledge and experience to reduce your tax debt and maximize your return with timely tax filings. Are you overwhelmed with trying to run your day to day operations, manage your employees, generate new sales and also stay on top of your books? Stressing over tax laws, profit and loss statements, and learning the correct documents to file with the tax authorities is done much easier with the assistance of a quality small business accountant! A number of factors affect business taxes such as health insurance, 401K plans, payroll, depreciation, inventory, etc- and it can be confusing for the business owner! Financial reporting is essential but most businesses prefer focusing on the growth of the business rather than concentrating on tax codes, and keeping books. However, unpaid taxes cause many problems for business owners. Therefore, having professionals manage your financials and monitor your tax situation is the best way to avoid delinquency and tax fines. Plus, when financial information is necessary for loans, audits and inventory, accountants are skilled at knowing what information you should have organized for accurate tax assessments. After we are done with our monthly work, your company’s financial health can be seen at a quick glance. Year-end summaries are less difficult to acquire because they are up to date on a monthly basis. Individual taxes: Besides small businesses, our local CPA firm prepares annual taxes for individuals, trusts, and estates. Less stress: our knowledge, education and experience working with small business owners means that our clients are compliant with Federal and state tax law. As your business grows, your needs will change. New employees are hired, inventory grows, and finances increase and the need for accounting services for your small business will grow accordingly too! Yes, summer in Arizona brings a sudden decrease in revenues for many retail businesses and restaurants – which can be tremendously painful to our bank accounts! But if you have been in business for a length of time, you already know how the “AZ Summer Slowness” can actually work to our advantage long-term. 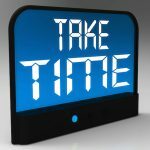 Since summer is often slow, it means that we business owners can dedicate much needed time to focus on US, and our own businesses! Besides recharging our batteries, summer gives us time to strategize, re-organize, plan and prepare for the upcoming business season. Summer is an excellent time to talk business tax strategies, revenue growth and tax planning with us….. before it gets busy again – when you only enough time to keep your head above water. Sean Core CPA PLLC works extensively with small businesses in many industries, and retail businesses are one of our specialties. We understand that even the most successful small businesses owners don’t always have the time or expertise to master the fine points of inventory management, and we’re here to help. We provide a full range of business tax and accounting services, new business start-up planning, business entity consultation, financial planning, payroll and tax return preparation. Many new retailers don’t fully understand how the lifeblood of their business—buying and selling inventory—is treated by the IRS for income tax purposes. If you pay an employee, or buy an advertisement, or purchase a qualifying piece of equipment for your store, that’s usually a deductible business expense. But when you receive a shipment of inventory and write a check to your vendor, you have not incurred a deductible expense. Instead, you’ve “traded” one business asset (cash) for another asset (inventory). You don’t deduct the cost of your inventory until you sell it, when the price you paid becomes part of your Cost of Goods Sold calculation. As the owner of a retail store or other product-based business, you probably devote most of your time and energy to marketing your business, engaging with customers, and making sure you have the right product mix and stock level to ensure a smooth—and profitable—flow of inventory. This isn’t always easy, especially if your retail business deals with seasonal fluctuations of product supply and customer demand. How do you manage your inventory so you always have just the right product mix and stock level, sourced from the best vendors at the most favorable terms possible? 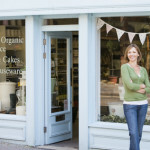 Our local small business tax accountant team excel at giving retail entrepreneurs the accounting and tax-planning tools you need to be successful. Contact us today to learn how we can help you achieve your business goals and dreams. We know… it is hard to believe it in this Arizona heat, but fall “busy-time” is right around the corner! We are one of the few CPA offices who value coming to you, at YOUR office – at no additional fee for our monthly accounting customers. Why? Because its important to us to understand how you run your business and also help save you time to run it more efficiently. However, if you prefer- you can stop by our friendly, convenient office at the Southeast corner of Guadalupe and Alma School in Mesa if you have a question or want to drop off your statements.